I had some reservations going into this movie. I had enjoyed the first three installments of what has become a series of films. The main reason for my skepticism was that Matt Damon had headlined this entire series and I knew that he was not starring in this one. I’ve always hated it when a character is replaced in a series, but that is not what happened here. I might have known that had I read anything or maybe even just paid attention to a trailer. 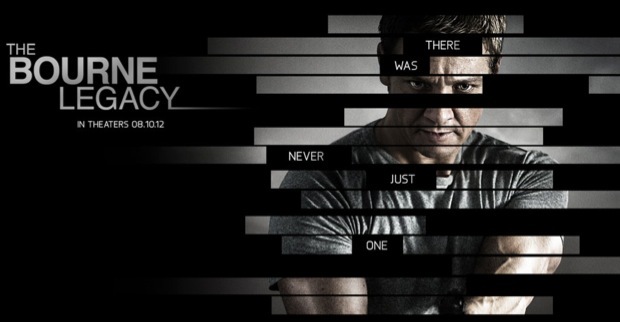 Jeremy Renner, might know him from Hurt Locker or the latest Mission Impossible, stars as Aaron Cross, a genetically enhanced version of a super spy similar to what we’ve become accustomed to in the previous Bourne’s. 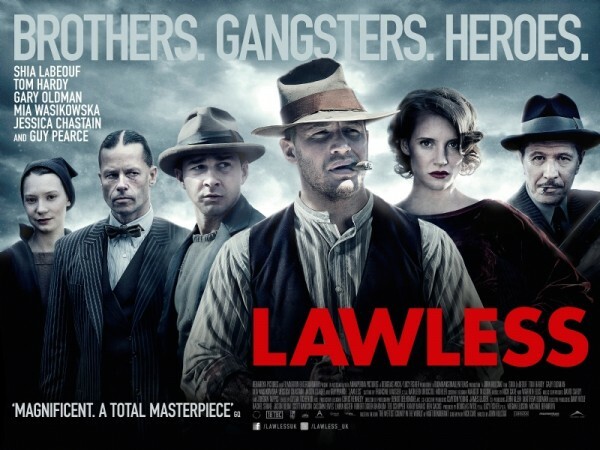 I was pleasantly surprised by the way the plot was tied in almost concurrently with the previous movies. It did take me a little bit to figure out exactly how, but I got there eventually! I’m a big fan of Edward Norton and I enjoyed him even in this smaller, more behind the scenes role. Renner sells the role well. He wasn’t quite as robotic as Damon’s character had been, but good. There wasn’t as much combat action this time around as in the past films. Much more time spent developing the plot and tying it all together, which was fine by me. I do have two qualms though. First, it doesn’t make sense to me, same as in the first three movies, that one of the highly trained super spies is able to evade and out duel everyone else. It just doesn’t seem like one guy could prevail over the entire focused attention of similarly trained individuals and the resources of government backing them. Secondly, the chase scene in this movie last way too long. It seemed to go on and on forever and, of course, included ridiculous, unrealistic theatrics including grinding a motorbike down a handrail in a crowd of people. I lied. I have a third qualm. Michael Bourn, yet again, somehow does not appear in the movie. Come on, his super-speed would be so easy to incorporate. I walked out of the theater entertained. It wasn’t spectacular, but I could’ve done worse with my time. For me, it clocks in at 2 3/4 out of 5 Beach balls. I tried to go into this movie with an open mind. I mean, come on, it’s about a man and his live teddy bear. This is a Seth MacFarlane film; you’re probably familiar with him as the creator of Family Guy. Mark Wahlberg is the human star and Mila Kunis, plays his longtime girlfriend. 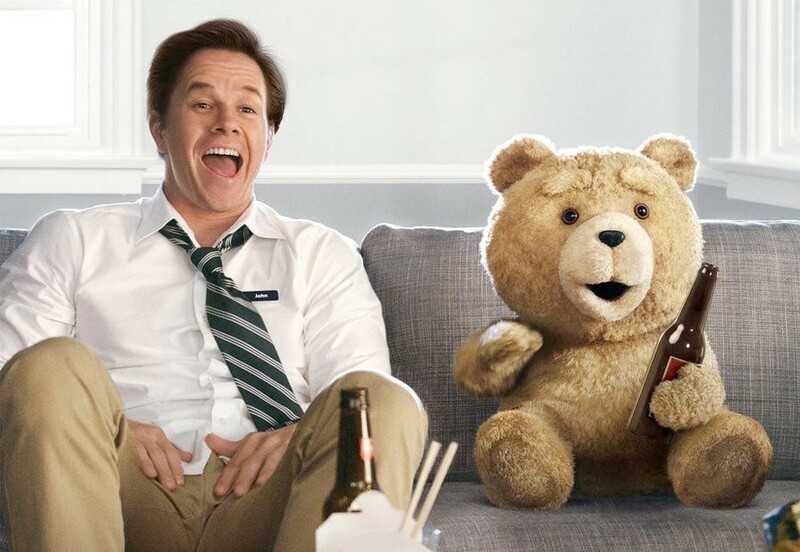 Their relationship becomes strained because of the partying and lack of responsibility of Wahlberg’s best friend, the teddy bear. That is basically the gist of the movie. I actually enjoy Family Guy, so I expected that the similar type of humor would also entertain me. I was wrong. I think the fact it’s not a cartoon and there are humans telling the jokes made it different for me. I think I would have thought some of the same jokes were funny had it been animated. In a cartoon, everything already has that sense of ridiculousness and I don’t take it serious or equate it to the real world. With real people in real situations, some of the jokes kind of crossed the line for me and were almost insensitive. I only chuckled a few times throughout the movie and afterward my brother told me he couldn’t wait for it to be over after the first ten minutes. Not my cup of tea so I will give it a 1 out of 5 Beach balls. David Ayer brings us this year’s action cop movie. 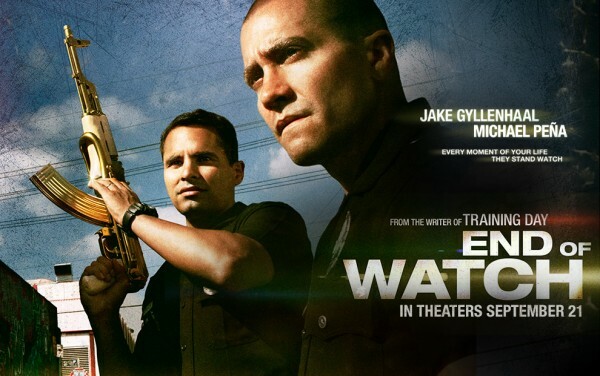 Jake Gyllenhaal and Michael Pena play LA cops that went through the academy together and became partners as well as best friends. Gyllenhaal’s character is mentioned to be taking classes to pursue a law career and is carrying a camera around documenting his work for a class. His camera allows for a lot of shots where the actors are aware they’re on camera, which was pretty cool. Pena and Gyllenhaal establish humor right from the beginning and continued it throughout. They play practical jokes on other cops and have a lot of hilarious exchanges while riding around on their patrol. I was definitely surprised by how funny I thought this film was, Pena especially. The plot heats up when the cowboy pair make a few busts connected to a Mexican cartel and a hit is put out on the pair. This might not be for those with weaker stomachs as it does get pretty graphic with some of the violence. I really enjoyed the way humor was riddled throughout, balancing the intensity and gruesomeness of a lot of the scenes. This movie will make you laugh and then possibly make you cry (not me of course). Very good. I give it 4 of 5 Beach balls. This is a tale of three brothers who ran a lucrative moonshining and distribution business in Franklin County, Virginia during prohibition. The Bondurant brothers were said to have traces of Native American in their blood and legend had it that they simply could not be killed. As you might suspect, the business that they dealt in brought along with it plenty of danger and opportunities for violence. The Bondurants carried and earned a reputation for being people you did not want to cross. Their operation becomes threatened when county official brings in a lawman from Chicago to clean up the moonshining problem. Franklin County was said to be the “wettest county in the world” at this time. Guy Pierce, plays the arrogant city-slicker and I thought did a great job. I thoroughly hated this character by the end of the movie. Even his appearance disturbed me. Possibly the worst part ever in his hair and I was having a hard time telling if he even had eyebrows or not. The two main characters were a pair of the brothers, Forrest and Jack. Tom Hardy (Bane in Dark Knight Rises) played Forrest, the head of the operation and possibly most feared man in the area. Forrest was a man of very few words or emotions until it came time for action. He kind of reminded me of Ryan Gosling’s character in Drive. Shia LaBeouf played Jack, the youngest brother who was somewhat disappointingly smaller and weaker than his two older brothers. He did some of the driving for their operation but he aimed to be more included and have more responsibility. Forrest saw him as weak and was reluctant to include him. Throughout the movie Jack yearned for acceptance and approval from his big brothers. The film did not quite go as far in depth to any of the characters as I think could have made it a little better. I did like the repeated theme of family and how the three brothers would defend each other regardless of their shortcomings. Probably my favorite part of the movie was LeBeouf’s hair cut, just perfect. You’ll have to see the movie and check it out, I personally hope that it starts a trend, who knows, I may try to do my part in that. I give Lawless 2 3/4 Beach balls, just above average. Not spectacular but entertaining. I went into this movie without having seen a trailer or even really knowing much about the plot. I did know it boasted a star studded cast headlined by Bruce Willis, Bill Murray and Edward Norton. Though, it soon became apparent that they all take a backseat to the quirky young star Jared Gilman. The outcast 12-year-old runs away from his scout troupe with his equally odd crush, played by Kara Hayward. The interactions between the two misfits balance on the edge of incredibly awkward, hilarious and adorable all at once. Easily my personal favorite movie from this year and I give it 4 ½ out of 5 Beach balls. Let me start by stating the obvious. This movie, without a doubt, is a chick flick. Do I care? No. I am an equal opportunity movie viewer, no discrimination here. I enjoy chick flicks, animated films, dramas and even mindless action films alike. For the most part, if Hollywood will produce it, I will watch it. That said, I enjoyed this movie. I hoped I would since I’m a fan of both lead actors. Andy Samberg has been about the only reason to watch Saturday Night Live over the past few years and is hilarious as part of Lonely Island. 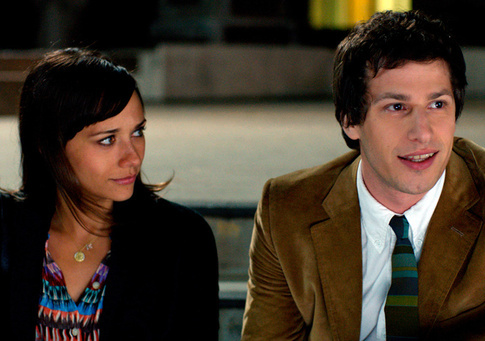 Also, Rashida Jones has been a part of two of my favorite TV shows, The Office and Parks and Recreation. For me to like a chick flick, the key is laughter. I definitely laughed. Jones and Samberg play a couple that were best friends since high school, married, and recently divorced, but remain best friends. Those around them are constantly confronting them about how strange it is that they continue to be so close and spend so much time together. Awkwardness abounds and mistakes are made as Jesse begins to see another woman and their relationship is strained. 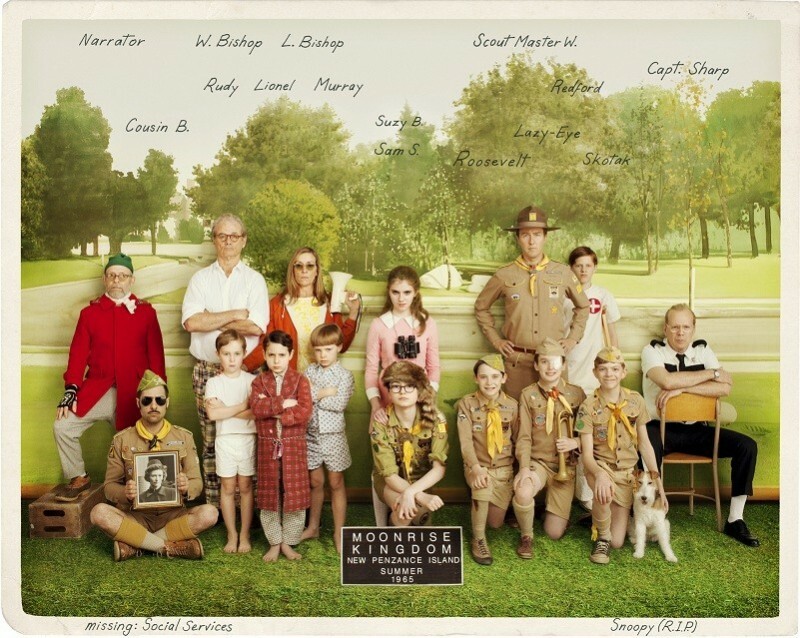 I’m not huge on the mushy, emotional aspects, but there were enough jokes and quirks to keep me laughing. I found it absolutely hilarious that when Jesse was down, he would watch his recording of weightlifting from the Beijing Olympics and cry. Not appropriate for kids because of the adult humor and language used throughout. I had fun watching this movie and that’s what it’s all about right? Not the best movie you’ll see, but far from the worst. For me, it slides in right at 3 out of 5 Beach balls. I was really excited to see my favorite comedic actor, Will Ferrell, return to his bread and butter of outrageous comedy. He plays an incumbent Congressman from North Carolina running unopposed until Zac Galifianakis’ character throws his hat into the ring at the last minute. As a former political science major, I enjoyed the complete mockery of the electoral process that this film provides. If you have seen a few of Ferrell’s and Galifianakis’ movies, then there are not a whole lot of surprises in store. I felt as though I could predict when Ferrell’s ridiculous tirades were coming and when Galifianakis would get a laugh with his patented effeminate gait and mannerisms. That said, I’m always up for a laugh and it delivered that. Completely unrealistic and over the top, but that’s what we have to come to expect and enjoy out of these two. Not a great movie overall, but I enjoyed it and give it 3 ¼ out of 5 BeachBalls.